Shortly after his election in 2008, President Obama addressed the National Academy of Sciences giving a compelling speech promising scientific integrity and transparency, essentially promising to transform the use of science in government decision making. His speech was so powerful; it brought tears to the eyes to some of those scientists in attendance. 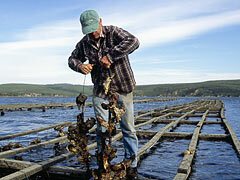 As of 9:40 AM, November 29, 2012, his administration, in particular the Secretary of the Interior, Ken Salazar, in league with the Director of the National Park Service Jon Jarvis, turned that promise into a hollow statement by relying on false science, misconduct and fraud* to deny renewal of the lease for Drakes Bay Oyster Farm. Over the years I lived in Point Reyes (2004 to 2013), I witnessed an incredible story unfold involving the National Park Service, the Sierra Club, the National Parks Conservation Association and the Environmental Action Committee of Marin hurling one accusation after another, year after year, at the owners of Drakes Bay Oyster Company – the Lunnys – and the Lunnys denying everything thrown at them. At the request of Marin County Board of Supervisor’s Steve Kinsey, world-renowned scientist and elected member of the National Academy of Sciences, Dr. Corey Goodman, became involved back in 2007 and remains involved to this day. Dr. Goodman found what he believes to be scientific misconduct and has filed charges. Senator Dianne Feinstein was brought in by unanimous vote of the Marin County Board of Supervisors in 2007 and remains involved to this day. In 2011 the House Oversight and Government Reform Committee began looking into the situation. As of late spring 2012 depositions are underway in preparation for Congressional Hearings into the matter. Now, the possibility of charges of fraud may be brought against senior staff at the National Park Service and others working with them. If the Oyster Farm goes, the ranchers and farmers will be removed citing pollution of the Estero from run off from the agricultural operations as the reason for removal – agriculture and mariculture in West Marin will be destroyed forever. What is crazy is the establishment of the PRNS was, as Kevin Lunny put it, to preserve the agricultural and maricultural way of life of the area, not to destroy it. environmental groups, plus a local environmental group? After all they are the guys in the proverbial white hats! Or should I believe a local, fourth generation rancher, who purchased the run down 80-year-old oyster farm, and already spent over $300,000 just in cleaning it up and bringing it up to code? With pressing family and business obligations of my own, all I could do until April of 2011, was read about the saga in the weekly paper every Thursday and look forward to Sunday morning coffee hour after Mass, to hear the Lunny’s side of the story. The trouble came when I’d go home and try to update my husband; the stories were so fantastic, so bizarre, so extreme, they would be met with, “That couldn’t have happened!”, or “They couldn’t have said that!”, or “That can’t be true!”. I honestly began to doubt what I had heard or that I had gotten the story straight. About mid April of 2011, with family and business affairs finally straightened out, I had the time to devote to figuring out what had actually transpired. I thought if I could do some research on the web, get the facts on paper, and create a chronology, I could decipher the mass of information and decide for myself who was telling the truth. What I found out turned out to have national implications. Along the way, I discovered that the Federal Government –the National Park Service as well as the Department of the Interior – were not telling the truth, over and over again! And it was not hard to uncover. It was all in black and white. I became outraged by the injustice, the abuse of power and the disregard for the ordinary person and the small business owner. I was determined to make available to you what I had discovered so that you can read and decide for yourself. This blog is intended to be informative not inflammatory. I accomplish this by providing links to the actual letters, articles, government reports and investigations, scientific reports and investigations as well as documentation of Bi-Partisan efforts and much more. I have excerpted quotes from each of those documents to provide an idea of the gist of the document being cited. The blog does offer elements of my own journey in my own community to understand a public policy issue and the facts from within it. My chronology, including time lines, dates, names, information and hyperlinks to government documents, reports, investigations by the National Academies of Sciences and others, and websites (which I must update often to keep up with ongoing events). Bi-Partisan efforts: Senator Dianne Feinstein, who has been on this since 2007, the original authors of the 1976 Wilderness Act, and others), world-renowned scientists, authors, etc. Commentary (my own) on the draft Environmental Impact Statement, other meetings, etc. YouTube links and Power Point Presentations by Dr. Corey Goodman (the scientist – an elected member of the National Academy of Sciences – who uncovered and exposed the scientific misconduct which is now the subject of an investigation by the House Committee on Oversight and Government Reform) and author Paul D. Berkowitz, a retired 25 year veteran of the National Park Service Criminal Investigation branch. Why should you read this, why should you care? We have federal agencies run amok: the Point Reyes National Seashore was established in 1962 when the local ranchers and farmers, with the assistance of the Sierra Club, negotiated a deal to sell their 100 plus year old historic dairies and ranches to the National Park Service in exchange for RENEWABLE leases. 50 years later, they need protection from the very agency that made a deal to protect them in perpetuity. We have national and local environmental groups run amok. The Sierra Club and the National Parks Conservation Association along with the Environmental Action Committee here in Marin, have falsified documents and photographs, given false testimony, and are sending misleading email blasts to their subscribers across the nation in an attempt to aid in the termination of the oyster farm. The Sierra Club, the very group that championed the cause to protect and preserve the ranches and dairies 50 years ago now seeks to destroy them today by starting with the removal of the oyster farm. We have a locally produced, sustainable, renewable, ecologically beneficial food source that provides jobs for 30 local workers, a good thing for the planet and a good thing for the locals and the local economy. Drakes Estero is one of the most pristine estuarine systems in the nation where eelgrass has doubled and harbor seals find refuge during the pupping season. It is a sanctuary well protected by the oyster operation and its workers. World population in 1960 was 3 Billion, as of November 2011, it is 7 Billion, two and one-third times bigger in 50 years. Congress wants to increase shellfish production by 5 fold, the President wants to create jobs, and the Sierra Club, the National Park Conservation Association, the Environmental Action Committee (of Marin) along with the National Park Service want to eliminate them. Seems like some cannot see the forest for the trees! I will bring you information as it becomes available and will post commentary as well. then the YouTube presentations of Dr. Corey Goodman. After that, have a look at the Articles and Letters, Scientists Weigh In, and then NPS Elsewhere. Decide for yourself what is going on. This is happening all over the United States, the environmental terrosist, sierra club, audubon club, defenders of wildlife, dept. of interior, Natl. Parks, have lied, presented false research and about anything else to get their way. If these terroists would have put the money into the parks instead of lawyers far more would have been accomplished. I see the same thing happening in the Outer Banks of North Carolina – all over 1 bird, the Piping Plover. These birds have more room to roam then anyone and who has killed the last 26 Piping Plovers – bird counters, Parks Service, etc. As a veteran – thought it was about Freedom, not anymore. Yes and soon I will be adding a new page with links to all articles I have uncovered, or that I have received from readers, about those “other situations”. Check out the Page “Articles & Letters”, 10-01-11 Seattle Times article on Mt. Rainier. If you come across anything, please feel free to forward it to me. Holy cow. Thanks for letting me know about this. Have you seen the documentary END:CIV they also point to these large ‘conservation’ corporations greenwashing logging etc. I will pass this to as many people as I can. I was thinking the same thing, Copper. Its 6:30 a.m. and I just heard on the news about Drake’s throwing in the towel, so I googled the topic and found this site. I usually spend 30 seconds on a blog. Thirty minutes later, I’m outraged! Great writing,organization, and design. Thank you, Jane, for your commitment and telling the story. I have read most of these articles; and have sat in on many of the proceedings with the NPS, Marin Mammal Commission, etc, as well as the “Scoping Meetings” and dEIS Comment Meetings and have been both outraged and flabergasted at the bold-faced lies that are told and retold with straight faces by those wanting to close the oyster company at any cost; including their own integrity. I am left with the sixty-four thousand dollar question – WHO HAS THE POWER TO TAKE THESE LIARS TO TASK? I remain hopeful that truth still has a place in our society. Thank you for all you are doing to bring this national debacle into the light! Just stumbled upon this after googling Point Reyes. I happened to fly over the area in my airplane last week on a south-to-north transit of the entire CA coast, during which the uniqueness and beauty of the Point Reyes area caught my eye from the air. Apart from flying over it, I knew NOTHING about the area and wow, what an education I’ve received in the last hour while following link after link. Thank you for the effort, which I’m sure was significant. Needless to say, I’m outraged at what I’ve learned and I hope this wrong can be righted, avoided or otherwise somehow deflected with common sense. Looks like I came upon this just in time to add my comments to the fray, which I’ll do via the links on drakesbayoyster.com before the 09 December deadline. It’s not much and I don’t live in the area, but I hope it helps. Rob: you can comment multiple times. 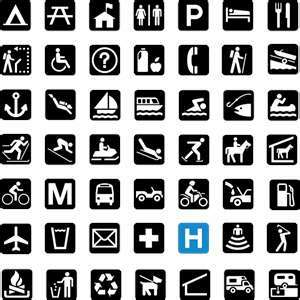 Go to the “How to Comment” page for ideas, inspirations and cut and paste. comment soon, comment often, help us save this locally produced food source which is a safe haven for harbor seals and can co-exist! Congressman (and Chairman of the House Committee on Oversight and Government Reform) Darrell Issa has summoned those responsible to Washington for depositions prior to Congressional Hearings. I� m dedicated to this because I believe that we can help Americans achieve a better understanding of the ideas and ideals, and the principles, which formed this country. Read all the posts under Reports & Investigations as well as the Scientists Weigh In. And do read the “Who Is Dr. Corey Goodman?” bio-sketch. Then decide for yourself and write me again. It is inconceivable that the Park Service would seriously consider curtailing, let alone shutting down the sustainable fishery in Drake’s Bay. (Alas, for the likes of the Sierra Club, it is entirely conceivable.) The functioning dairies at Pt. Reyes have a much larger impact, and it’s not nearly as natural a one as the oyster fariming in Drakes Bay. I am not advocating for closing the dairies but how long will it be before they too are in the cross-hairs? You hit the nail on the head. They already are. In the dEIS it states once the oyster farm is removed [thus removing the water filtering conducted by the oysters] there will be a problem of “pollution caused by run off by the ranches”. Once the oyster farm is goneThey will not need an EIS or anyone’s approval whatsoever to evict the ranches! Have not found it yet, will keep looking. The real problem is the leadership. Look at CA and the water situation and its impact on our food supply. If we couldn’t get our leadership to pull things under control with that what chance does an oyster farm, an individual who has been told they can’t do anything on their own property, a small community like Hatteras and Ocracoke Islands, etc. have in getting fair treatment. Oh, and the new articles about EPA looking to define sustainable development as a new benchmark and changing the ESA so that endangered listings apply throughout all states in a listed species range, despite prevelance elsewhere–we are headed in the wrong direction and we need to consider the environmental stance of those we vote for in the upcoming election. This is as important and maybe more important than the candidates economic polocies because it is as big a drag on job creation and the economies of small communities as anything else. Nonetheless, I hear few if any questions in this area. salutations from over the sea. interesting article I shall return for more. It’s one thing for the NPS to say, close off an old dirt road that silts up a creek every time there’s rain. It’s another thing entirely to shutter a business that actually helps make a net gain in our [global] struggle for sustainability. The oyster farm obviates all the fuel that would be needed to fly/truck oysters across the state or nation by raising locally what local people consume. Buying at the farm means you don’t drive over the hill to San Rafael for oysters, or buy them from Washington State growers. Same holds true for meat, dairy and produce. It’s something to strive for and it works with the oyster farm very well. Why the NPS would ignore the positive to make some kind of point about other issues like jurisdiction and agendas just does not make sense. Please keep me informed about this important issue. We enjoyed some oystets out on the Esteto yesterday in the sun. 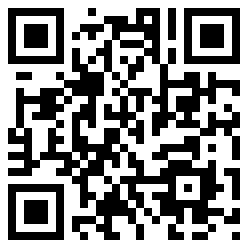 I picked up the card with the QR code and scanned it here. Fantastic. See you at Mass today. Touching base here in point Reyes on the Drake’s Bay Oyster horror story. Did you know the existing law creating the Point Reyes National Seashore stipulated that all fishing/ocean harvesting control (if any) would FOREVER remain with the California Department of Fish and Game? NOT under control of the NPS, the Marin County Public Works Department, the National Guard or the Cub Scouts. No, the CASH-STRAPPED State of California’s Fish and Game. A reliable source today revealed to me that Drake’s pays INTO the State’s reeling coffers several thousand dollars a year just in annual license fees. This is NOT to mention payroll taxes and positive economic impacts of 30 employees in a vital sustainable harvesting operation. What us the NPS thinking? And in an example of slack and spineless governance, the Commisuoners were “gone fishing” when it was been called on as due process to assert itself in hearings on kepping the oystet farm’s himble operation. Is California intent on collapse from apathy on the part of bureaucrats who have all the energy in the world to play partisan ping-pong with blame for horrible cuts in the budget while being asleep at the wheel about actual REVENUE streams? The Department of Fish and Game needs to assert the state’s rights and safeguard the license fees and economical and environmental windfall the oyster farm provides. Like, yesterday. EVERYONE needs to know the state, in what I suspect is a widespread slow-mo catastrophe, is throwing away lawful income streams and sustainable emoyment due to bureaucratic stasis. This is a sickness in California’s state government that must not kill a small local food operation that alone supplies 40% of the entire state’s shellfish harvest. Touching base here in point Reyes on the Drake’s Bay Oyster horror story. Did you know the existing law creating the Point Reyes National Seashore stipulated that all fishing/ocean harvesting control (if any in the seashore) would FOREVER remain with the California Department of Fish and Game? NOT under control of the NPS, the Marin County Public Works Department, the National Guard or the Cub Scouts. No, the CASH-STRAPPED State of California’s Fish and Game. A veryvreliable source today revealed to me that Drake’s pays INTO the State’s reeling coffers several thousand dollars a year just in annual license fees. This is NOT to mention payroll taxes and positive economic impacts of 30 employees in a vital sustainable harvesting operation. What us the NPS thinking? And in an example if slack and stupid governance, the state F&G Commissjoners are “gone fishing” when it has been called on in due process to assert itself in the oyster affair hearings. Is California intent on demonstrating a collapse pin leadership from apathy on the part of bureaucrats who have all the energy in the world to play partisan ping-pong with blame for horrible cuts in the budget while being asleep at the wheel about actual REVENUE streams? The Department of Fish and Game needs to assert the state’s rights and safeguard the license fees and economical and environmental windfall the oyster farm provides. Like, yesterday. EVERYONE needs to know the state, in what I suspect is a widespread slow-mo catastrophe, is throwing away lawful income streams and sustainable employment due to bureaucratic stasis. This is a sickness in California’s state government that must not kill a small local food operation that alone supplies 40% of the entire state’s shellfish harvest. A perfect example of “I’m God and you’re not.” To all of the Marin County “swells”, be advised that the oysters have more right to be there than you. Do they pollute their territory? No. They clean it. You are the ones who muddy the waters. On a regular basis. The oyster farm is a California treasure. I have visited it with my children and friends several times and always find it a wonderful experience. It really should be touted with pride as a California gem. That our government would even consider shutting the place down is nauseating. Surely someone in the NPS can be brought to trial about this outrage. I would like to sign the petition in support of the oyster farm. How do I do this. PLEASE GO TO https://oysterzone.wordpress.com/2012/11/15/11-15-2012-drakes-bay-oyster-company-videos-and-petition/ TO SEE ALL VIDEOS AND SIGN THE PETITION AND THANK YOU FOR YOUR SUPPORT! I am completely depressed upon hearing that the Drake’s Estero Oyster Farm in California is being shut down. When I was a child I grew up by the sea in San Francisco. The ocean was still alive in 1950’s. I visited the then Johnson’s Oyster Farm, the current estero farm and found the best oysters on the coast. I was inspired, and along with my fascination with Nature, grew up to become a Marine Biologist. As I grew older, I watched the ocean die, from our actions or inactions. Definitely not from oyster farming. This news has caused me to lose hope in the direction American is taking, we should be encouraging these growers. To destroy a “Green” business that has been in operation for almost 100 years is illogical. – not ignorant, fascist environmentalism! Many have quit the Sierra Club and other organizations over their mis-handling of this situation. I am with you. I think the environmentalists need to start reading Wendell Barry. This is the classic stewardship/agrarianism business that Barry wrote in favor of, and it is being pushed out by those city-based environmentalists. I wish you the best of luck. I hope things do in fact resolve well. Thank you for bringing this to the attention of many. I see that the decision of the Secretary of the Interior this morning has been to deny the extenstion of the lease with a 90 day period allowed for you all to pack your bags. (according to the Mercury News) This is an outrage! Here is an OP-ED that I wrote concerning the GGNRA which is administered by NPS: It is basically an indictment of the National Park Service. In 1977, Whalen, now a newly appointed director in the NPS, dissolved the three-unit divisions which formally bestowed distinct administration of Recreation Area properties. Later in 1979, GGNRA capitulated to outraged public pressure to create the “1979 Pet Policy” to permit off-leash recreation and access for dogs and their owners. With intentional deceit, the GGNRA management deliberately neglected to officially entitle this Pet Policy as a Section Seven Special Regulation. In 2001, GGNRA summarily eliminated all off-leash recreation with the bogus revelation that the “1979 Pet Policy” was non-compliant with Federal Law as a Section Seven Special Regulation. The resulting public outrage stirred the S.F. Board of Supervisors to research a reversion of GGNRA properties to their jurisdiction. In 2005, U.S. District Court Judge William Alsup exposed the duplicitous fraud perpetrated by the NPS and reinstated the “1979 Pet Policy”. Despite the reinstatement and the judge’s admonishments, the “1979 Pet Policy” remains absent in Section Seven Regulations. In 2008, GGNRA partnered with some environmental alliances to endorse an effort by Rep. Nancy Pelosi to deceitfully sneak a ‘Park’ name switch permitting an alteration of governing mandates from National Recreation Area to National Park with H.R. bill 6305. The resulting public uproar forced Pelosi to abandon her attempt to thwart the will of the people and the Federal Court. A partial inventory of such agenda driven disputes with NPS/GGNRA includes the Sea Scouts, Surfrider Foundation, bicycle organizations, California Farm Bureau, San Francisco and Marin County Firefighters, hang gliding enthusiasts, Humane societies and Disability Rights Advocates who are once more in litigation with the GGNRA for failure to provide requisite access for the disabled. Such conflicts with NPS/GGNRA are not merely confined to California, related battles are taking place with the NPS on the east coast at Cape Hatteras National Seashore Recreation Area in North Carolina and other locales. The litanies of transgressions hostile to public access freedoms by NPS/GGNRA remain copious and relentless. Wisdom dictates that California and the City of San Francisco commence legal reversion of all GGNRA properties to original jurisdictions with new managements and prohibit county open space groups from ceding any lands to NPS/GGNRA to ensure freedom of use of these very public and recreational lands now and for future generations. Big Government at its worst is demonstrated through NPS/GGNRA bullying, scientific misrepresentation and fraud to coerce Closure of Drakes Bay Oyster Farm. NPS/GGNRA power and tactics to conduct scientific fraud with impunity to achieve their ideology and political agenda does not bode well for other recreational activities and businesses that are on their environmental hit list. Contrived environmental impact allegations to force closure of Drakes Bay Oyster Farm exemplifies the fortress mentality of National Park (and State Park) system and agencies that have adopted a contentious approach that marginalizes citizens and uses environmentalism as a weapon. I need to understand 1] Who is responsible for these autocratic agencies, and how to hold them accountable? 2] Why are they so powerful?, 3] How to stop them?, and 4] What other businesses and recreational activities are on the environmental hit list? 1]. Who is responsible for these autocratic agencies? 4]. What other businesses and recreational activities are on the environmental hit list? Most California Bay Area Recreational Parks and Beaches, through intensified Regulation, Restriction and Enforcement (NPS, GGNRA). us sustainable food and keep our environment pristine. In my opinion the correct legal direction for the Drakes Bay Oyster Co. is forget all the EIR stuff and focus on oysters as being agriculture, and thus exempted from the Act – by history and by intent. Just because the oysters are on the water – does not mean they are not agriculture. Thats sounds like an excellent idea but I wonder if theres a difference legally between “aquaculture” & agriculture” to get said exemption? PETITION to SAVE Drakes Bay Oyster Farm! Please help save Point Reyes Drakes Bay Oyster Farm by signing attached petition. Allegation and fraud is the basis for National Park Service (NPS. Ken Salazar, Department of the Interior Secretary) justification for closing this historic business. marvel at the way the harvesting of the Oysters is done the old fashion way by hand and not with “Big Polluting Machinery”. This is a sustainable and enviromently friendy farm. It is time to draw a line in the sand with the Bureaucrats that are out to destroy it. Thank you for pointing out the truth about the operation!!! This sickens me. I am 100% certain that the Oyster Farm is a much better steward of this land than the US government ever could be. In fact, it will go from a small income, well managed property to one that will become a taxpayer cost center – how dumb is that? What could I specifically do to help you? Write and call every representative and senator, demand they reverse this decision. Find people who know famous Mexican Americans, musicians (Santana, Los Lobos, etc), comedians (Gabrielle Iglesias aka the Fluffy Guy), opera stars (Davide Lumilla), authors, poets, diplomats, you name it, get them to pull together an “Oyster Aide” a la Willie Nelson’s Farm Aide. We need this done asap. What is the exact status of things as of today? It is sad that a decission of this importance is manifpulated by bully tacticts and bad science. The park service and specifically, the superintendent of Point Reyes has a history of making up science to get thier way. I remember when surfing was shut down in the 1990s. I asked the Superintendent why and he reffered me to a govenment report that he said indicated that 23 surfers had died on the Coast in the past. I got a copy of the report through the freedom of inoformation act and brought it to the superintendents office. When he saw that I had the report, he threatened to have me arrested for making trouble. The report did not show that surfers had dies, but showed that they had saved others. He had also ordered his rangers to harrass the surfers. This was resolved in the surfer’s favor by having the Surf Riders Foundation read the report and threaten a legal and press campaign if surfing was not opened imediately. They know the science was bad and were going to arrest people who challenged the ruling. It seems that they still operate in the same manner. That seemed to be the mantra of my generation. I graduated from High School in the Watsonville area in 1988. Most of my fellow students at that time were quick to ‘question authority’. Now, they mostly cheer it. They love to see regulations laid out for ‘the cause’ of environmentalism, or to ‘save the planet’. The wrapping of the arguments infatuates them. Their feelings are their guide. It’s sad to see my friends turn into institutional lovers…supporters of big government and feel good policies based on politics, that lead to election of local and national political frauds, such as the greatest community organizer ever, now president of the U.S. It is very troubling to see those elected frauds develop policies that enhance the government’s ability to snuff out the livelihood of some…while the majority are told it is for their own good. The pigs are in the house. I graudated high school in ’74..and was a proud part of the first Earth Day. Little did I know that I was participating in the birth of a movement that will be the demise of this country if we do not bring some sanity in to the movement that has been hijacked. I often wondered what happened to the liberals of my era (of which I was one) I took a right turn and they turned in to the totalitarians of today.. They know what is best for you and me, and they plan on seeing that we “comply” If you want more information on this entire movement read Rosa Koire’s book “Behind the Green Mask” available on Amazon through hard copy and Kindle.. The pieces of the puzzle will all start coming together. Check out the latest environmental fraud case in Sonoma county against the National Audubon society See CBN news release dated April first 2013 or google national audubon fraud you will see this case in action. Yet another case of the grand almighty environmental groups pushing there way to the extend of devious nature . on the current injunction ? TUESDAY MAY 14 MORNING BUT NO TIME YET GIVEN. Hi Jane, It’s been a few months since the last time I had a question(s) for you. The one I have now pertains to the Conservation Study Institute’s “Stewardship Begins with People” booklet published in 2007. The printed version has a chapter about Point Reyes National Seashore that has a picture of Dave Evans and Kevin Lunny in it. However, Corey Goodman alerted me to the fact that the NPS subsequently published an online version with Kevin’s picture removed. There’s a section of text about DBOC and a quote from Kevin that were also removed. Have you seen this redacted version? The link to it is: http://www.nps.gov/csi/pdf/Atlas.pdf. If you don’t have a copy of the printed version I can mail you one to compare the two. My other question is do you know how to find out who posted the redacted version to the web and when. I’m also curious to find out if the Conservation Institute’s Executive Director Michael Creasy is aware of the “updated” version and if the NPS informed him they were making substantive changes in his agency’s work product. It is also on my chronology as of late 2011. I found out about it in 2011 and wrote about it then. I believe I even had a letter to the editor of the Point Reyes Light and / or the West Marin Citizen printed regarding this. The only way one can obtain a copy(or copies), and there is no charge for them, or for shipping via FedEx Second Day – our tax dollars at work you see – I have ordered TEN copies on three separate occasions in the past two months and received them although the last batch arrived parcel post. There was a time the Conservation Studies Institute claimed they were “not available”. You will have to ask Kevin and Nancy Lunny about that. farm vs the location of the dairies? In order to eliminate the dairy and cattle ranches without having to go through a public process the oyster farm must be eliminated first. When eliminated, the NPS then can claim the ranches’ run off into the estero is polluting the estero and can order them removed without EIS, NEPA, public comment or input! The oysters, being filter feeders, help to keep the estero waters clean. Remove them and the run off does not get filered out. After being engaged in this struggle against a tyrannical park service and a host of zealots for years, I just came across your website. thank you for your service! I think the key to the controversy is the fact that many irrational vegan purists simply hate oysters and make a scrunched-up “eeeewww, yuck!” face when confronted with one. Unlike the Native Americans and other normal humans who enjoy shellfish, diary products and the Drakes Beach Cafe, they want to purify, cleanse and eliminate everything human in this so-called “wilderness” (a “wilderness” with a quarter million park visitors and thousands of cars going past the driveway to the oyster farm). If the struggle to keep our oyster farm is lost, you can be sure the cows and the cafe are next. They will close the dirt road and force all non-uniformed civilian to undergo a park ranger lecture and a $8 jitney ride to a controlled observation area. Been up to Muir Woods lately? This is what lies in store for the seashore…. At the national parks in the outer banks, we have bird resting areas on the beach. If a bird looks like it is breeding, is breeding the beach is closed. One cannot walk on the beach. What has come of common sense?